This performance by actor Kurtis Kelly revisits one of the Old West’s most bizarre crimes. In the winter of 1873, twenty-one gold-hunters from Provo, Utah set out for Colorado’s San Juan range. Ignoring dire warnings, they entered a forbidding wilderness where a sudden blizzard left them trapped—and hungry. 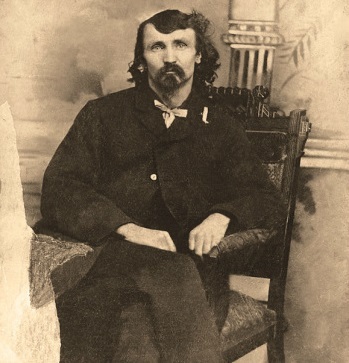 Six weeks later, Alfred Packer emerged as the sole survivor. Soon to be revealed was a chilling tale of desperation, murder, and cannibalism. This story is told from the point of view of General Charles Adams, who first investigated the incidents. No registration required.